If you're serious about your phone memory and performance then its time to remove duplicate photos from your system. 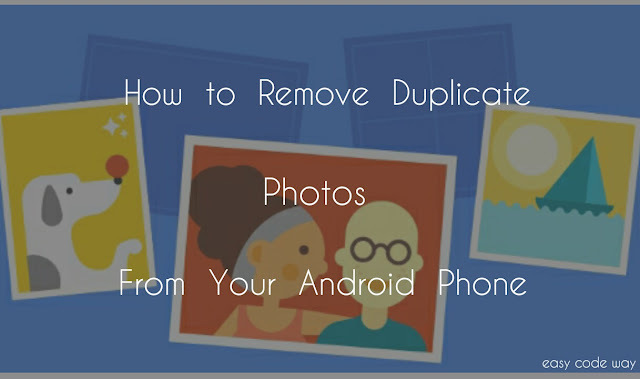 Duplicate photo means those images which are identically similar or you have one or more copy of original file. These not only occupy unnecessary space in your phone memory but they are also the main cause of slow down in speed or performance. You may be thinking that how is it possible? Let me explain you in easy way. Whenever we open gallery or any other application then it show image thumbnails. These thumbnails are retrieved for one time only and then saved as cached file so that they can be used again in future. Basically cached files are saved in RAM and obviously, it slow down the phone speed. 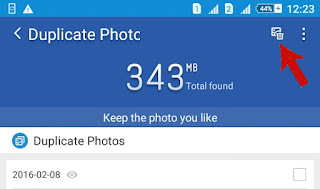 On the other hand, duplicates images will occupy double memory space and thus increase load on your system due to which it slow down the Android performance. 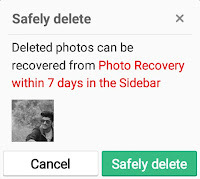 The only solution to this problem is to find and remove each and every duplicate photo from your android phone. Of course, it would be a tedious task to remove them one by one. How it would be to get all these files under one roof? Isn't that cool? Hm. I have an amazing app for you which can save your precious time. The app name is clean master. This application is especially made to improve your system performance. It can be used to clear junk files, kill unwanted tasks and as an antivirus. Additionally, it can remove duplicate photos, backup your data and improve your battery charging speed. Now lets see how to use this application. Coming back to the main topic, if you haven't installed this app then go and download it now from Android Google play store. I think you don't need any explanation on how to install it. From menu list, click on "Duplicate Photos" option. Now wait for few seconds until it scan all your data. After loading, you can easily preview all your duplicate photos and most importantly, it will show the memory size they are eating. If you've 300+ MB duplicate files then you can save up to 150 MB size. This is because, it counts total file size only and if you'll delete duplicate one then half of the memory will be saved. Now filter out all images that you want to remove and hit "delete" button. Make sure that you haven't selected any original file. You have to keep only one photo. Finally a small pop up box will appear. Click on "Safely Delete" button and that's it. After this, a new window will open. Now tick mark all images and hit "Delete" button. What Does Clean Master Actually Do? Many of you may be thinking that how does clean master works? 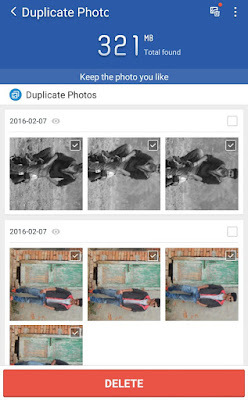 How is it possible to find those duplicate images? Even I want answer for these questions. So was it miracle? Haha. Of course not. It's all about programming and simple maths. 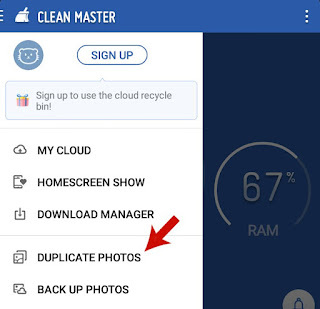 According to me, I think that clean master simply compare the size, format, date, file location, color combination or other properties of images with each other and on these basis, it filter out all duplicate photos. On the other hand, it can also compare the structure of images as like Picasa do to find human faces. This is my own personal view. However, reality can be totally different. God knows! But what do you think about this? 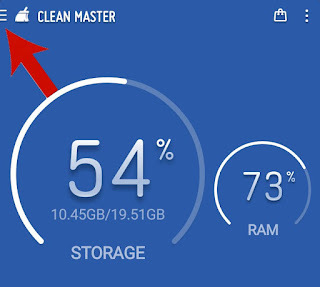 Do you know any other better alternative to clean master? Let me know in below comment box. Stay blessed, Stay connected!